5-working-days! Since BIC Notes products are heavy, please Click here for complete shipping information. 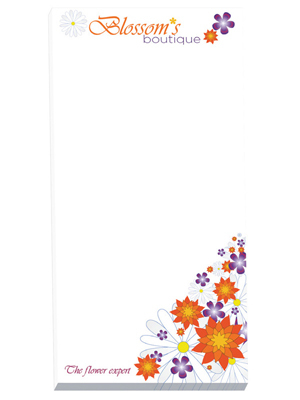 For imprint areas and art specifications, visit www.bicgraphic.com and click on BIC Sticky Note. Imprint Areas: 3 5/8" x 5 5/8", 2 5/8" x 5 5/8"